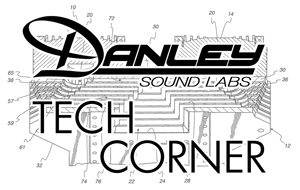 Tech Corner #3 Subwoofers 2 | Danley Sound Labs, Inc.
What Should a Subwoofer Sound Like? Last time we thought about the concept of the ‘speed’ of a subwoofer. We showed that the speed of a subwoofer is determined by the crossover frequency and the amplitude of the signal, and if a sub can reproduce the frequency at crossover, it is moving as fast as it needs to. A 10-inch sub won’t move faster than an 18-inch sub, at a given frequency and amplitude. Moving faster means creating higher frequencies! This time, I want to take a few moments to consider what a subwoofer should sound like. It is always a bit tricky to describe with words what something sounds like. Partially because there are so few words in our language to describe precisely how something sounds. Still, let’s give it a try. First, remember that we are talking about a subwoofer, that is a speaker that is used to extend the low frequency range of a full range system, either to go lower in frequency or produce more volume in the low range. A true subwoofer has a low pass filter on the signal that is driving it. With Danley subs, we always tell you the highest crossover point that is recommended for a given box. It is not a good idea to go above that point! Generally, subwoofers are low passed at around 100 Hz, sometimes a bit higher, sometimes a bit lower. For the sake of this discussion, let’s assume that we are using a crossover of 100 Hz. So, try this. If you have a digital audio workstation, load in your favorite rock song. Pick something with a good kick drum sound. If you don’t have a digital workstation, I recommend Audacity. It is free and is easy to use. Now using an Eq. tool, create a low pass filter at 100 Hz that has a slope of 18dB per octave. Make sure that the filter keeps going. In other words, make sure that 200Hz is -18dB, 400 Hz is -36dB, 800 Hz is –54dB, 1600Hz is -72dB etc. Apply that filter to your music. I’ll bet that you can’t tell what the tune is anymore! That is what a subwoofer should sound like. So if someone tells you that their sub is awesome because it has great speed or definition or clarity or impulse response, well…. if it does, something is very wrong! Unless they are talking about a Danley sub of course…..